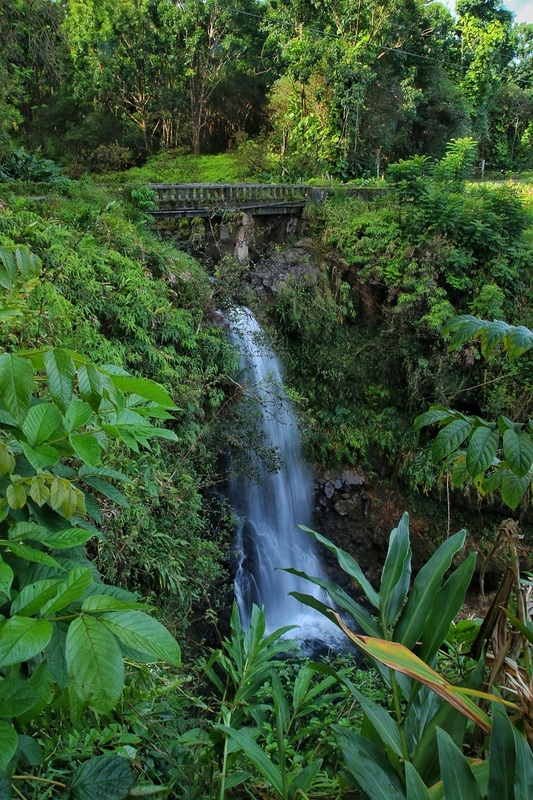 The quintessential road trip in Maui is the beautiful road to Hana. 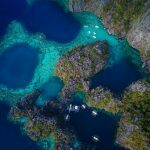 The road has over a dozen waterfalls, beautiful beaches, and stunning scenery. 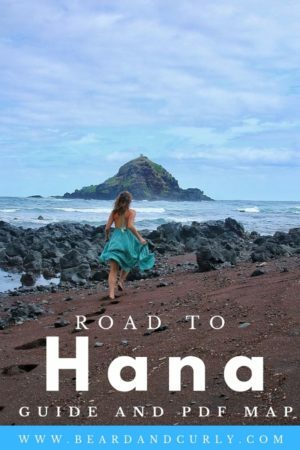 It is possible to take a road to Hana tour. However, this trip is completely doable independently but does need some confidence in driving abilities. Don’t miss this amazing road trip. It likely will be a highlight the vacation. 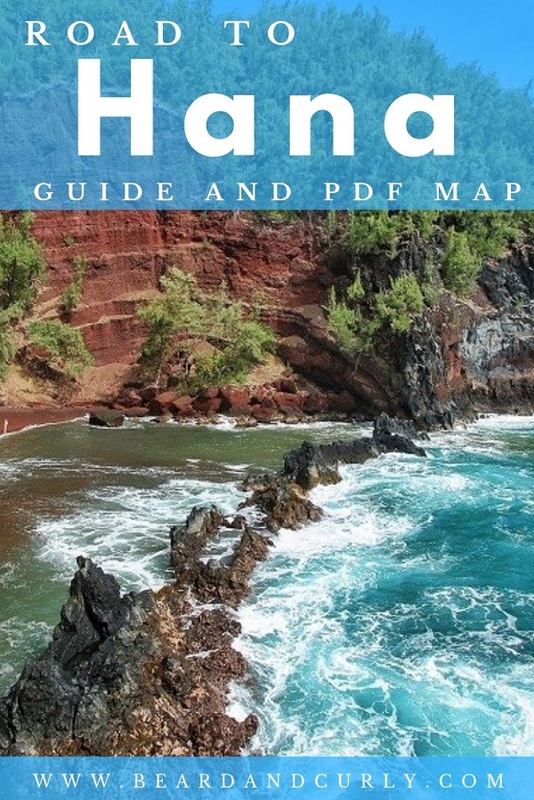 Our road to Hana guide covers 15 best places to see, tips for driving, and a printable map and PDF. 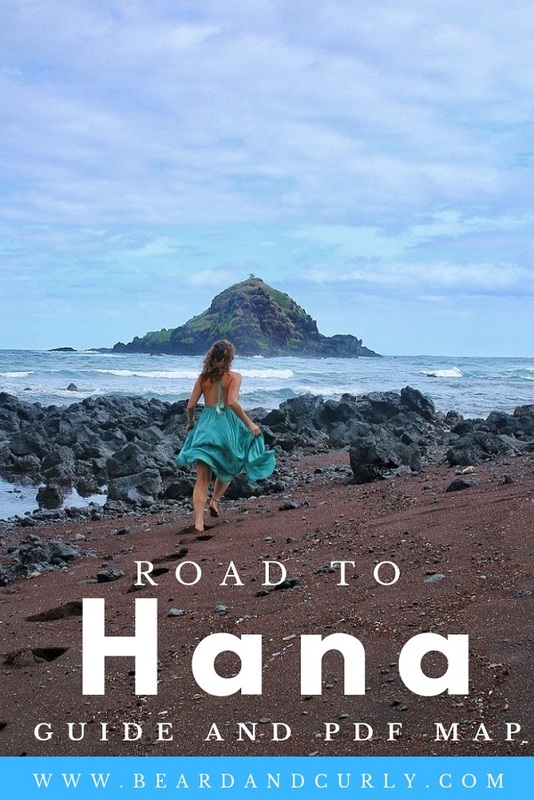 This all in one guide includes everything to know about the Road to Hana. 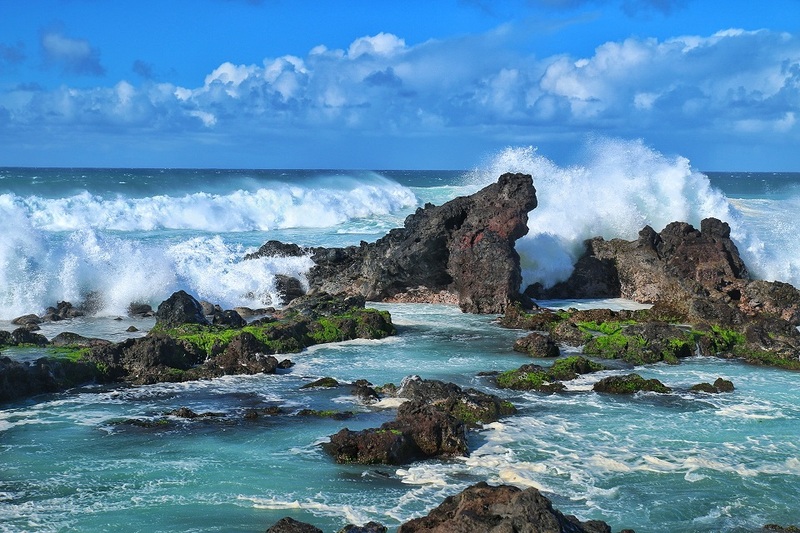 We recommend going to Ho’okipa and the Twin Falls on a separate day combined with Baldwin Beach and the historic town of Paia. Start the Road to Hana early. Plan to be at the first stop of Ho’okipa before 7 am to make ensure have enough time to complete the entire journey. Many who make this trip to Hana drive to the National Park, and turn around to drive back. We recommend to continue to Kaupo and drive on the Piilani Highway (Route 31) back to Kahului. Try to make it there to see sunset by leaving the Seven Sacred Pools no later than 4:30 pm in winter and 5:30 pm in the summer. Our favorites spots below are marked with asterisks (***). Before leaving for an epic road trip, make sure to fill up on petrol. There are limited gas stations on the Hana Highway. Haiku has a couple of gas stations, and after that, the next station is in Hana. Trust us, don’t want to get stuck on the Hana Highway without gas! If making a loop and driving around the backside of Haleakala past Volcanoes National Park, the next station after Hana is in Kula. It is only 84 miles between Haiku and Kula via Kaupo, however with all the stops and slow driving roads make sure to fill up in Hana. Another great option is to break up the road trip into a two days. It would be great to stay in an adorable bed and breakfast or guesthouse in Hana. 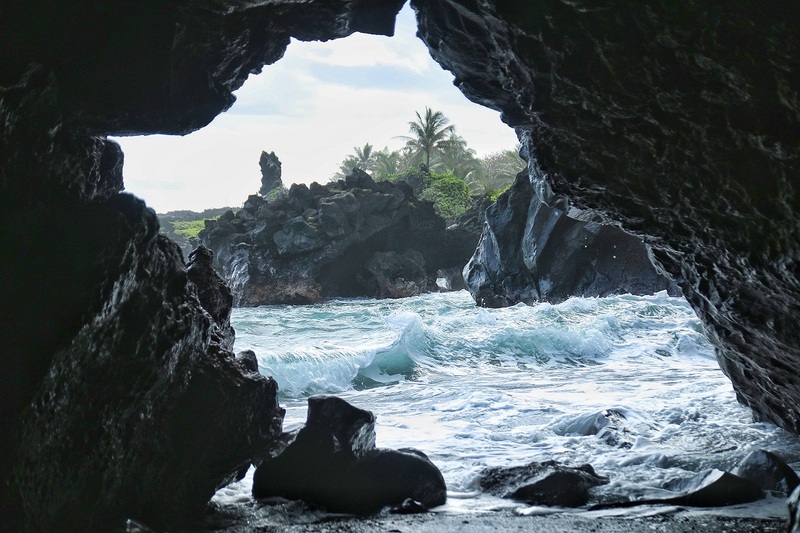 Everything south of Hana and within Volcanoes National Park could be done on the second day, giving more time for exploring each stop and relaxing on the stunning beaches. 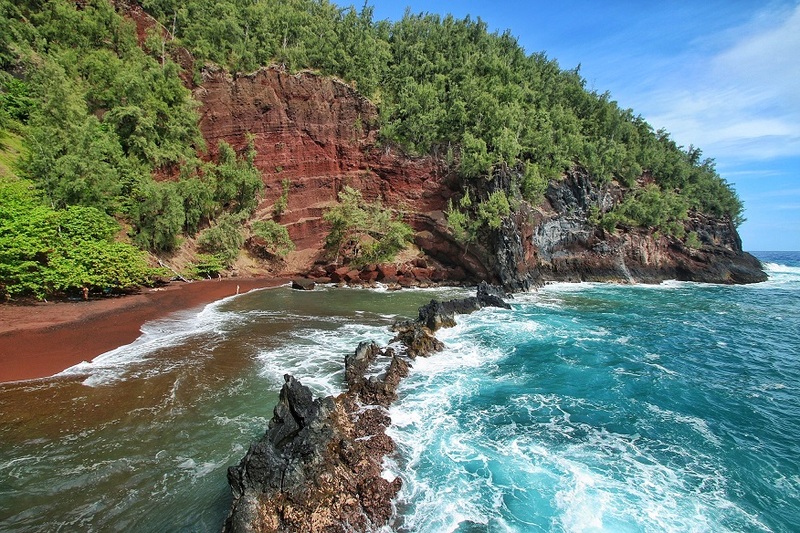 I could stay at Kaihalulu Beach (Red Sand Beach) for hours, and this also allows for more time to take pictures too! 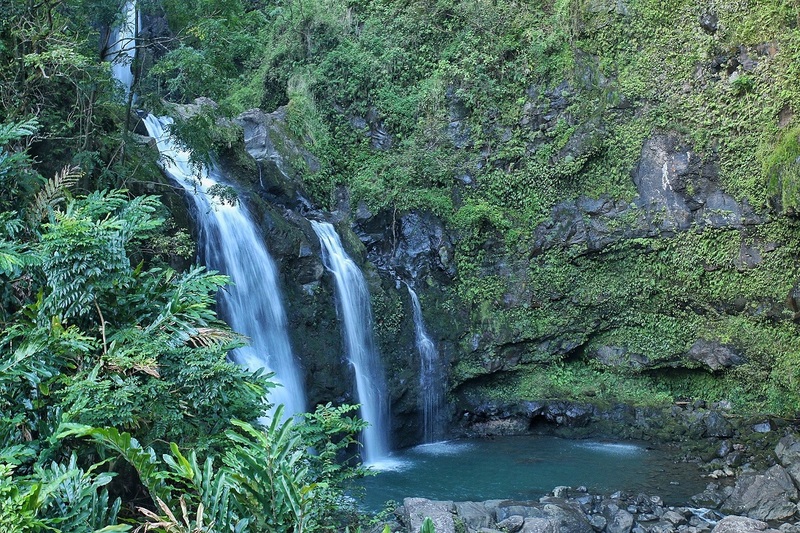 Guesthouse in Hana: Heavenly Hana Paradise is a charming guesthouse with a garden room for $160. Airbnb in Hana: Stay at this cozy home near Hana for $100. 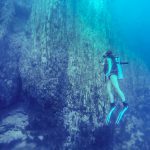 This an amazing place to spot sea turtles and watch big wave surfing. Turtles come up and sunbathe on the beach usually arriving an hour before sunset. There is normally a rope in the sand to prevent overcrowding the turtles. If planning to take photos bring a zoom lens for some great shots but a camera phone will still capture these beautiful creatures. This is a great stop for sunrise or sunset. There is a small walkway down to a lookout to watch the surfers. This stop has not two but three waterfalls. The walk to the first two falls takes about 10 minutes. The best waterfall is the last one, a 20-minute walk. There are signs posted warning tourists that it is a difficult hike. Anyone reasonably fit should have no problem. If time allows, bring a swimsuit for a dip. 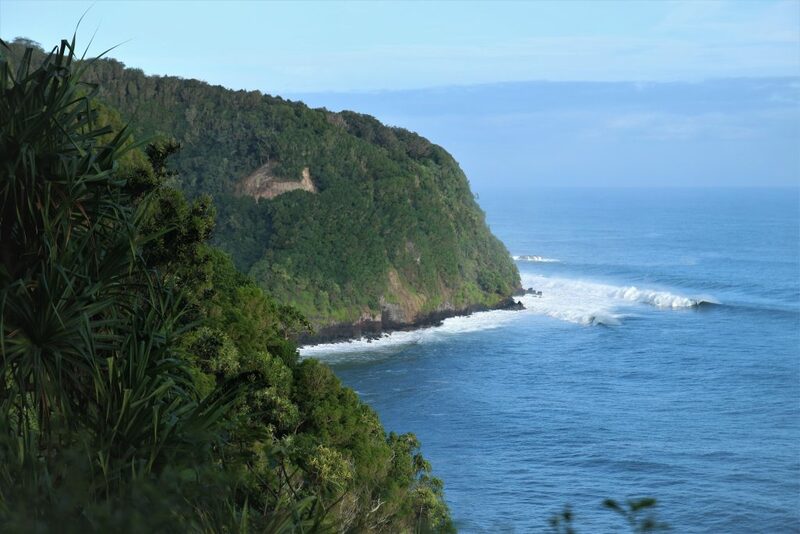 This lookout is a quick stop the check out the dramatic coastline on the Hana Highway. This is another quick stop to a lookout with scenic coast views. There is no parking for this waterfall so it is best to drive by slowly and look at it from the car. Another drive-by waterfall with parking past the bridge on the right. Be careful crossing the road. Definitely worth a stop this was one of our favorite waterfalls on the trip. There is a short walk to the waterfalls and a small picnic area available. If visting the Big Island it is best to skip this stop. Volcanoes National Park on the the Big Island has very impressive lava tubes. It is very difficult to fit the lava tube into a full day on the road trip to Hana. It is only open from 10:30 am-4:00 pm. If leaving early it will be closed when driving by. If there is time, it is a pretty interesting stop for those who have never seen a lava tube before. Cost is $12 per person. This is one of my favorite stops, however, try to get here early as it tends to get very crowded. 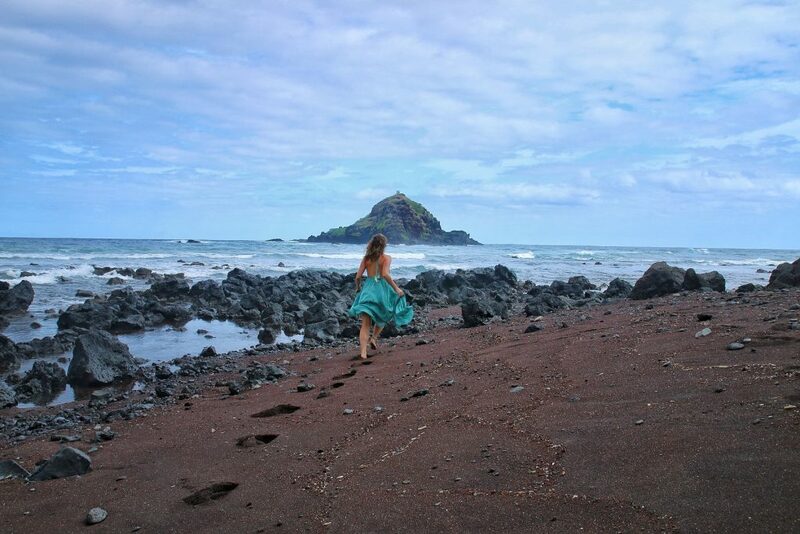 The black sand beach is great for photos. 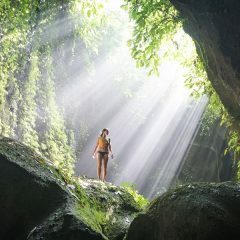 Make sure to go into the cave on the right side of the beach. There are a few hiking trails to explore in the park. The park has a nice picnic area available. 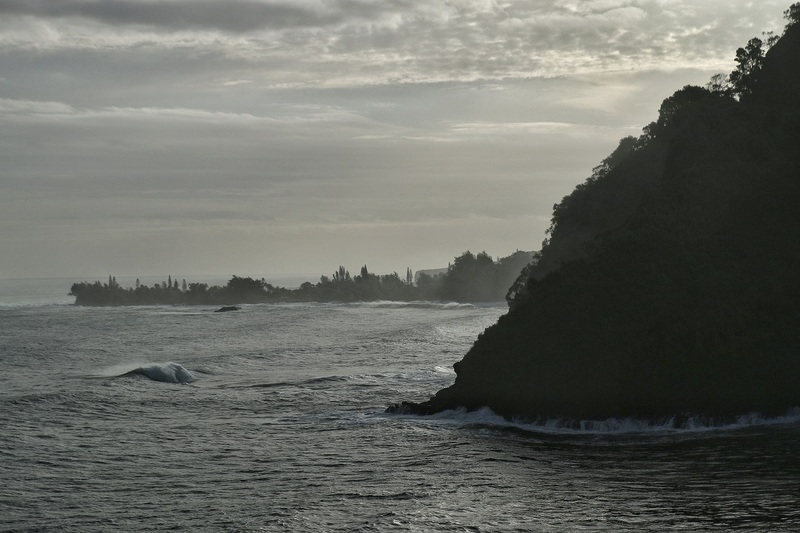 This is our favorite stop on the Road to Hana. Just after Hana at the end of Uakea Road, there is a small trail to Kaihalulu Beach (Red Sand Beach). It is absolutely gorgeous. This may be the most beautiful beach in all of Hawaii, don’t miss this stop! The trail is short but steep so bring sneakers. This is a great beach to swim at. 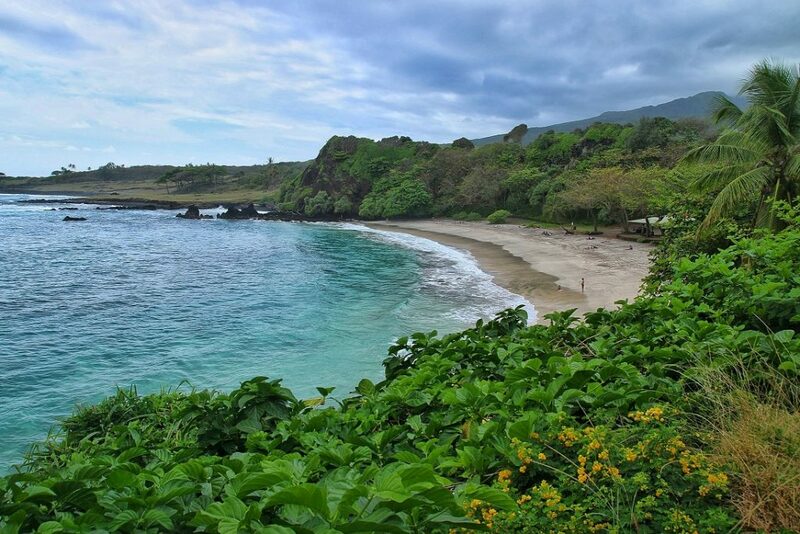 Located off of Haneo’o Road this pretty beach has a picnic area. Worth a stop for some photos. Hamoa is located just past Koki Beach on Haneo’o Road. This is a white sand beach great for swimming and surfing. 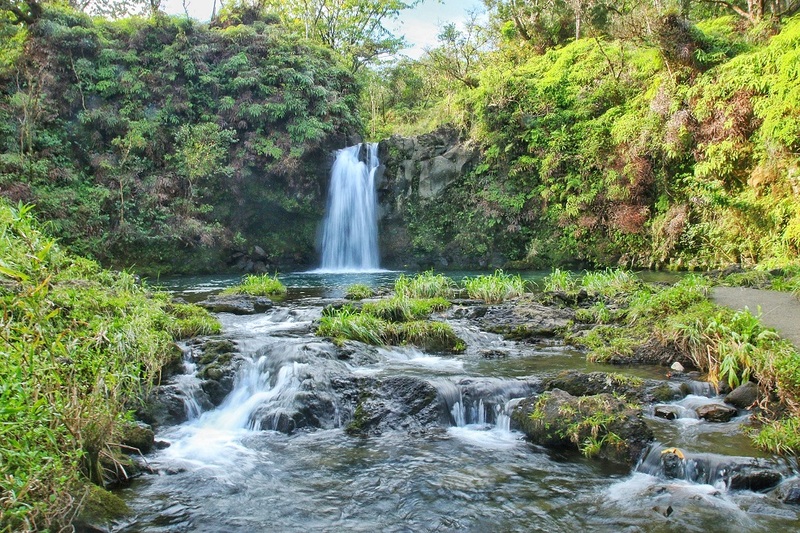 The Ohe’o Gulch is known for the Seven Sacred Pools. This is a short 0.5-mile hike to the seven pools. This is part of Haleakala National Park. Fees include $20 for 3 days or $25 for the year for one vehicle. If going to see Haleakala make sure to go with 3 days. Note: Since January of 2017, the pools are closed to swimming due to landslides. It is not possible to swim in the pools but the walk still has excellent viewpoints. 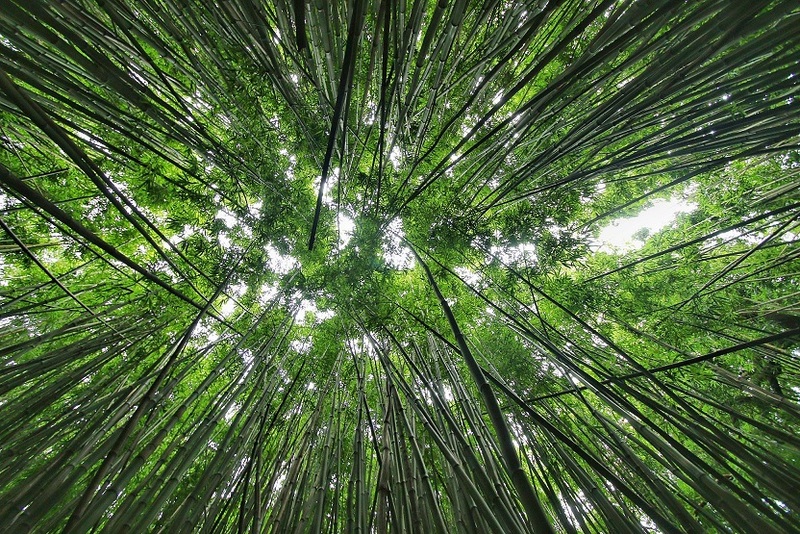 This trail is a beautiful and easy hike through a bamboo forest. The hike is 4 miles long. It ends at Waimoku Falls. Allow at least 2.5-3 hours if hiking the full trail. This trail is also part of Haleakala National Park which has entrance fees. 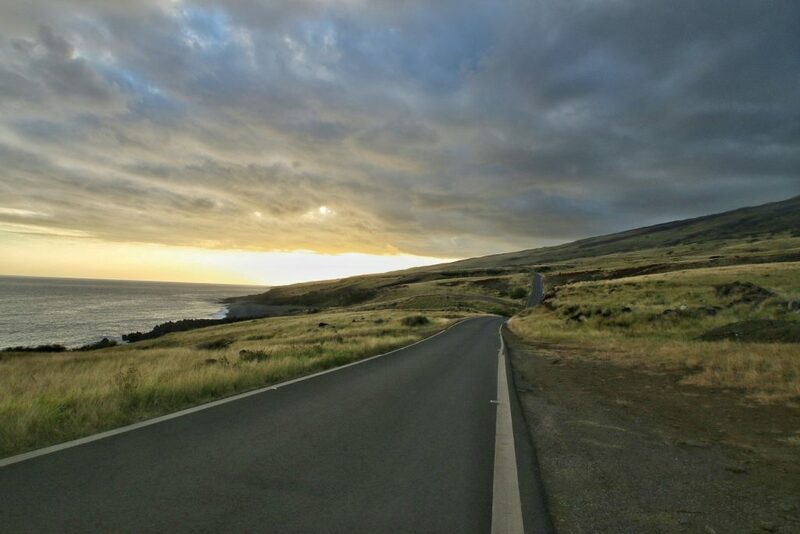 A perfect way to finish an epic road trip is to continue on the road past Ohe’o on the Piilani Highway. The drive is absolutely stunning. It is a bit rugged with about 12 miles of curvy dirt roads. Driving in this area for sunset is a must. 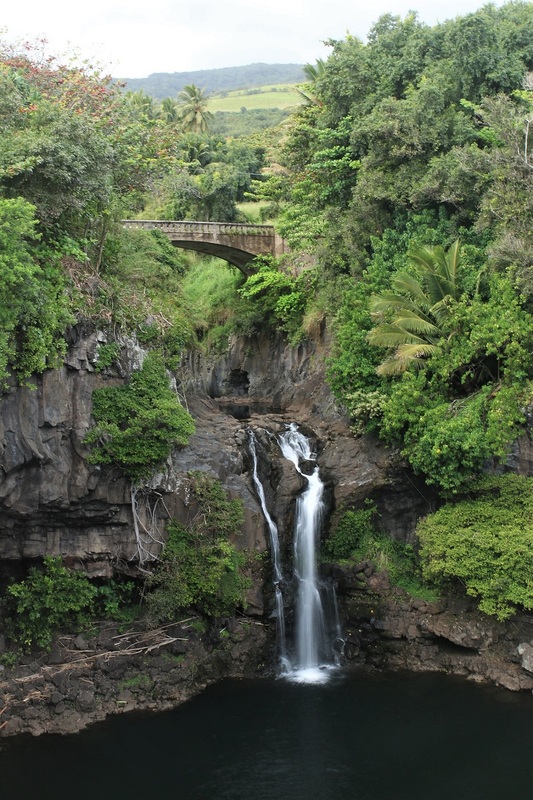 Hanawai Falls: Mile Marker #24. Drive-by waterfall. Makapiki Falls: Mile Marker #25. Drive-by waterfall. Hana: A good place to stop for lunch. Natural Arch: Mile Marker #29. It is difficult to stop for this arch but easy to see off the side of the road. 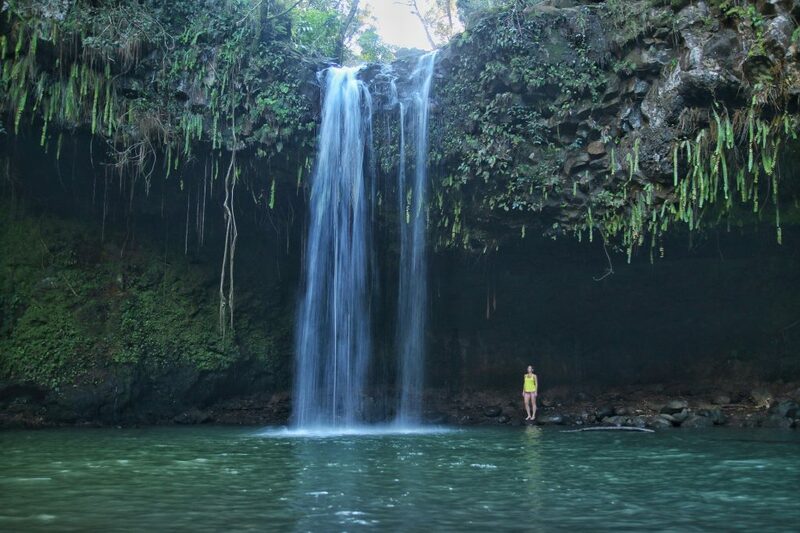 South Wailua Waterfall: Just north of the Ohe’o Gulch, this 100-foot waterfall is good for a swim.